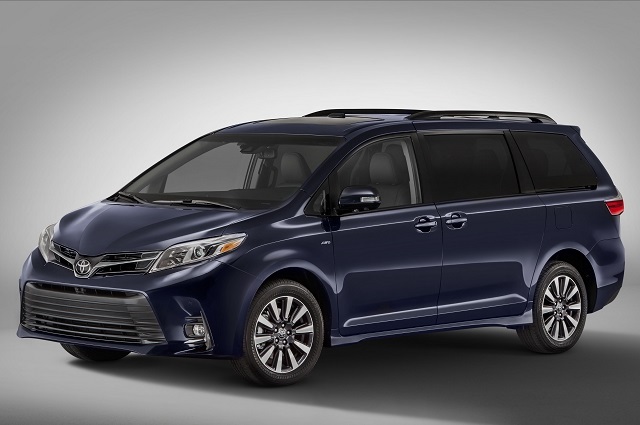 The Toyota car maker is continuing with the redesign of the Sienna model, and now it s planning to introduce the new 2018 Toyota Sienna. As the 2017 model year, this model arrived with a new powertrain, new transmission, more horsepower and better fuel efficiency. As well, it has gotten a new design of the front fascia and new grille. In addition to that, this minivan has also received more safety and tech features too. So for the 2018 model year, the car maker will continue with the improvements of the popular minivan. The new Sienna will appear with more standard safety system which is very important especially for the families who are the target group of this model. As well, we will also see upgrades in the exterior design. The new Sienna will be offered in L, LE, XLE, SE and Limited trim levels. The Chrysler Pacifica and Honda Odyssey will be its main competitors on the market. Under the hood of the 2018 Toyota Sienna will be placed a new engine, which was firstly introduced in the 2017 model year. It is a 3.5-liter V-6 which will be able to produce 296 horsepower and 263 pound-feet of torque. The engine will pair with an 8-speed automatic transmission. The front wheel drive will be standard while the all-wheel drive will be optional too. 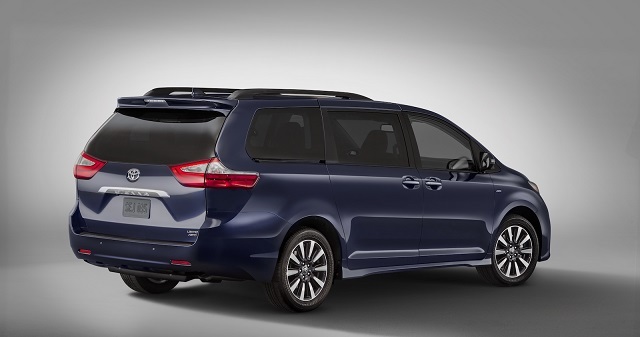 In addition to this, the Sienna is the only minivan on the market with four-wheel drive configuration in the offer. As for the fuel efficiency, the FWD is rated 19 mpg in the city, 27 mpg on the highway and 22 mpg combined. The all-wheel drive gets at 18/24/20 mpg. Speaking of the exterior design, the 2018 Toyota Sienna will feature more aggressive design than ever. The front and rear fascias will receive a makeover while its profile will remain the same as before. So, the front fascia will feature larger and restyled grille and a new design of the headlamps. Furthermore, the new Sienna will arrive with new and uniquely shaped front and rear bumpers. Inside, the 2018 Toyota Sienna is very spacious: it is able to place even seven passengers in three rows of seats and it offers an ample cargo space. The access to the third row is good enough and it is convenient for the adults too. However, the comfort of the seats and materials used in its design are not as promising as in the rivals. As for the equipment, all the models now come standard with Entune 3.0 infotainment system with navigation system. Furthermore, Bluetooth, five USB, adaptive cruise control, pre-collision system, automatic high-beam headlamps will also be standard. Moving to the higher trims, Toyota will add a moonroof, leather upholstery, 4G LTE with Wi-Fi connectivity JBL audio system and so on. The rear seat entertainment system will be optional too. The new 2018 Toyota Sienna should go on sale this fall. Speaking of the price, it is expected to be slightly higher than the price of the current model.